We offer a great range of Parker pens, all brandable with your logo, a great promotional gift, sure to leave a lasting impression with your customers! Parker reminds us that the gift of an exquisite fine writing pen is to offer someone so much more than just a stylish accessory. It is a gift to harness talent and spirit, a unique object to be valued and kept for the long term. The addition of your corporate message or branding will associate your company with elegance, style and sophistication, creating a stunning gift which will be treasured. 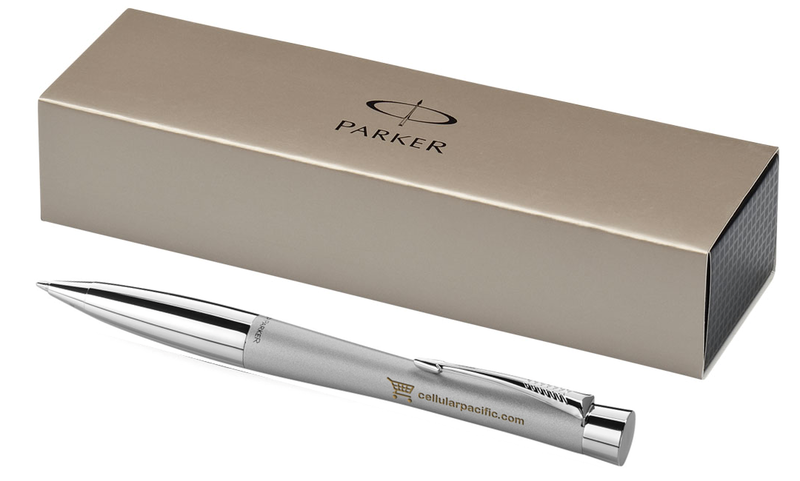 The Parker collection includes pens available with print or engraving, alongside a selection of items designed purely as exquisite corporate gifts. Say thank you in style……..
Click here to see the Parker range within our product catalogue.